GALION — The Leader In Me Program at Galion City Schools continues to grow and impact students in positive ways each day. The program is based on content from the popular book ‘The 7 Habits of Highly Effective People’ and is designed to teach students the skills needed for academic success and to develop leadership skills. 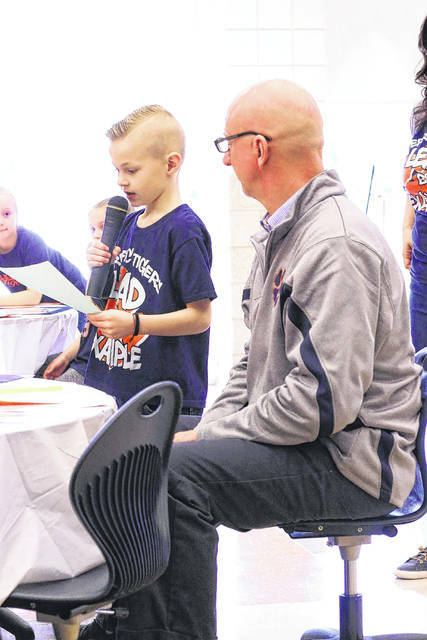 Last Friday, Galion Primary School held it’s second annual Leader In Me Brunch in the Primary cafetorium. It included students, school staff and various members of the community as special guests. Each guest was paired with a member of the Student Lighthouse Team seated beside them while brunch was served and was then interviewed by that student following a basic questionnaire with a few questions about their occupation and personal life. Students were then given a microphone and introduced their guests one by one, which was then followed by a tour of the Primary building led by students. Each area of the school visitors went to was manned by students who spoke about the 7 Habits and how they are using them during the school day and at home. At the conclusion of the event, guests were taken to the school lobby where all students in the building were gathered to sing and wave goodbye before returning to the classrooms. The event was a well-organized team effort by teachers from the Lighthouse Team at Galion Primary that is led by teachers Lynne Foust and Sarah Wegesin. 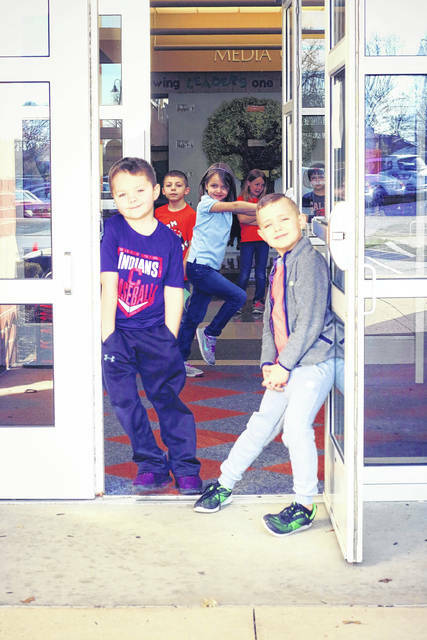 The Lighthouse teachers and students are all a part of the Leader In Me program, which is in it first year of stand-alone status at Galion Primary School. Previously, the team at the primary school building was working in collaboration with Galion Intermediate School to plan and hold events. Students selected for the Lighthouse Team at Galion Primary are chosen based upon teacher recommendations and classroom performance. Lighthouse Team members at Galion Intermediate are required to go through an interview process before being appointed as a part of the team. 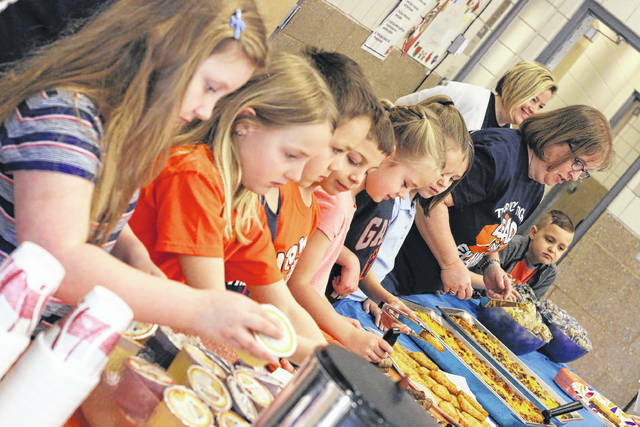 Once selected, students participate in various events throughout the school year including Open House, the Connections Weekend Pancake Breakfast, and the Come Home to Galion Parade. The Leader In Me program has not only expanded into Galion Primary School, but is also in its first year of building momentum at Galion Middle School under the leadership of teachers Cindy Glew and Amy Heydinger. Galion City Schools is one of three districts in Crawford County to participate in the Leader In Me program, and was recently recognized for their participation by the Crawford Partnership. Funding for the program is provided by way of a grant from the Ohio Department of Education through the Crawford Partnership, as well as local support from the Galion Community Education Foundation.